Just Jeeps Events | Jeep Parts Store in Toronto, Canada. 50/50 and upping the anty with some weekly prizes! Suns out, time for the OF4WD Roadshow to get rolling. First stop will be the LAJOC Show&Shine at a new location this year. 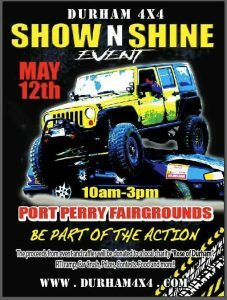 Come on out to check out what everyone's been working on over the winter, show off your ride, and try a wheel on the RTI ramp. There is a Fill the Jeep challenge, so bring a toy or non perishable food item with you and help set a new record. Here it is! 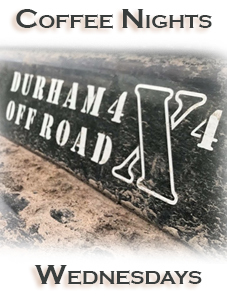 We have finally confirmed a location for our 2018 Durham 4x4 Show N Shine and you are invited! 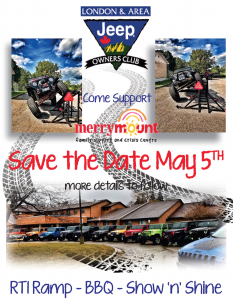 It is going to be held at the Port Perry Fairgrounds with all proceeds going to charity!